WhatsApp Business will allow businesses to have access to analytics, giving them a comprehensive look. At how often their customers interact with them and how popular are their texts. Businesses will also be able to easily manage. Their business account and personal account, reports AndroidPolice, which cites documents provided by a user who signed up for WhatsApp Business account. The report also shares the Google Play link for WhatsApp Business, but notes users will only be able to see the listing. If they are part of the private beta programme, for which access is granted. If users answer a survey and are accepted. The app’s APK is also available to download, but once again, users need to be part of the private beta first. The Facebook-owned service is giving businesses the option to easily migrate their business number to WhatsApp Business. 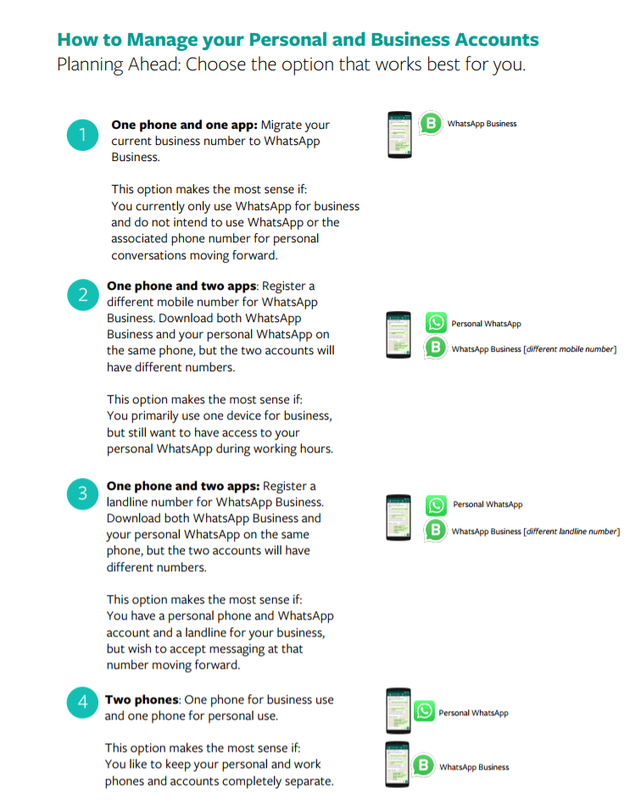 Users, according to the document, get three options: Business APK Available to Download For WhatsApp. They can install the WhatsApp Business app on the same phone as their personal WhatsApp account. But have a different number tied to the business account. Users can also register a landline number for WhatsApp Business. In this case, too, business users can install WhatsApp on the same phone. From which they operate their personal WhatsApp account. Users can also use two different phones and handle their personal and business accounts separately. These business customers also get the option to set automated response called. Away Messages”, so that when customers message them after business hours. Or on some day when the business is closed, they are instantly informed about the same. Businesses can also scheduled “away Messages” ahead of time. If you run a business and wish to sign up for WhatsApp Business, you need to fill up this survey, and then download the app from here. In India, BookMyShow and GoIbibo among other services have been testing WhatsApp Business account for a few weeks. At present, they are utilising the WhatsApp Business account to share tickets with their customers.